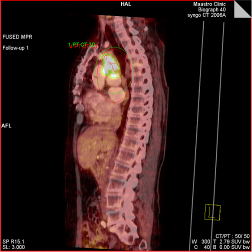 In the head and neck cancer trial, non-invasive imaging of EGFR expression with Cetuximab- labelled Zirconium-89 will be undertaken to evaluate the uptake and biodistribution of the drug on an individual basis (Aerts et al. 2009). At the start of 2014 the protocol had to be amended. The protocol now exists of two arms, randomizing between standard dose (70Gy in 35 fx) and dose redistribution (64-84 Gy in 35 Fx) based on FDG-PET uptake, with adaptive RT. 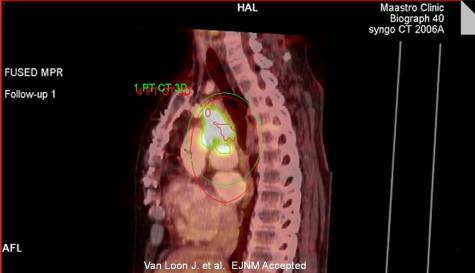 In the lung cancer trial, non-invasive imaging of hypoxia with fluorodinated HX4 will be undertaken to identify areas of the tumour where high dose treatment can be delivered (van Loon et al. 2010; Dubois et al. 2011). This work will be undertaken at the MAASTRO Clinic, Maastricht, The Netherland. 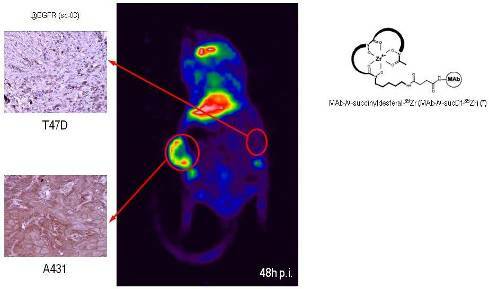 Figure 1: MicroPET images of Zirconium-89 labelled Cetuximab uptake 72 hours post injection. Note the high uptake in the EGFR expressing tumours (HT-29, U-373 MG, A-431), while the uptake of the low expressing EGFR tumour (T-47D) is comparable with the overall uptake in surrounding normal tissue (Aerts et al., JNM 2009). 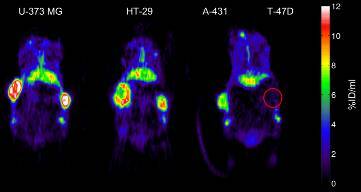 Figure 2: In green we have the tumour delineate with PET FDG with a validated method. 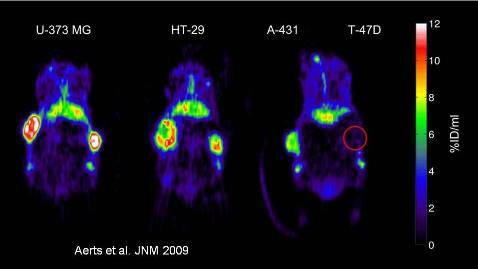 In red we see heterogeneous uptake of hypoxia (van Loon et al EJNM, 2010; Dubois et al. PNAS 2011).